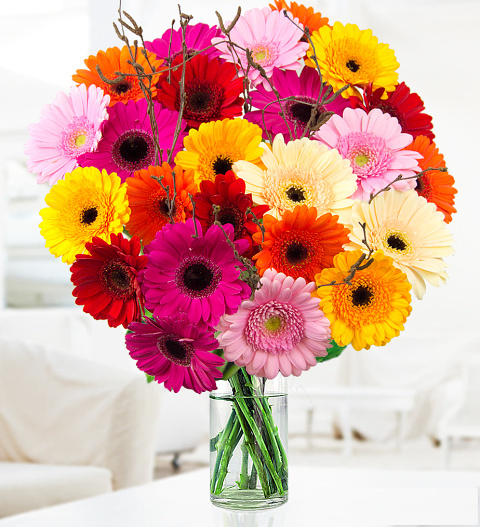 Looking for that perfect bouquet to brighten someones day? Look no further, the impressive presentation of beautiful Germini blossoms is sure to make someone's birthday that more special or to show someone just how much you love them. Included is a very special box of Hand Made Valley truffles to tantalise all taste buds! Chocolates may contain nuts.